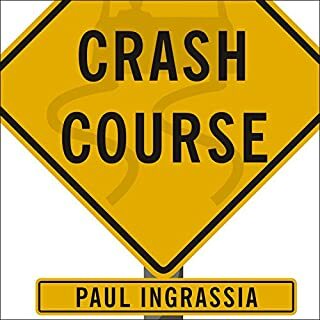 In Crash Course, Ingrassia answers the big questions: Was Detroit's self-destruction inevitable? What were the key turning points? Why did Japanese automakers manage American workers better than the American companies themselves? Ingrassia also describes dysfunctional corporate cultures (even as GM's market share plunged, the company continued business as usual) and Detroit's perverse system of "inverse layoffs" (which allowed union members to invoke seniority to avoid work). 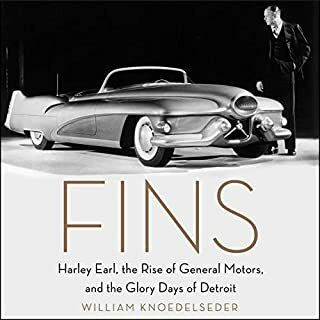 This audiobook chronicles the birth and rise to greatness of the American auto industry through the life of Harley Earl, an eccentric six-foot-five, stuttering visionary who dropped out of college and went on to invent the profession of automobile styling, thereby revolutionized the way cars were made, marketed, and even imagined. Harleys Earl’s story qualifies as a bona fide American family saga. It began in the Michigan pine forest in the years after the Civil War, traveled across the Great Plains on the wheels of a covered wagon, and eventually settled in Hollywood, California. America was made manifest by its cars. 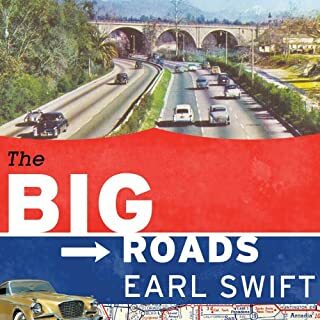 From the assembly lines of Henry Ford to the open roads of Route 66 and Jack Kerouac, America's history is a vehicular history-an idea brought brilliantly to life in this major work by the acclaimed author of Crash Course: The American Automobile Industry's Road from Glory to Disaster. The book covers Walter P. Chrysler's life and automotive career before 1925, when he founded the Chrysler Corporation, to 1998, when it merged with Daimler-Benz. Chrysler made a late entrance into the industry in 1925, when it emerged from Chalmers and Maxwell, and further grew when it absorbed Dodge Brothers and American Motors Corporation. 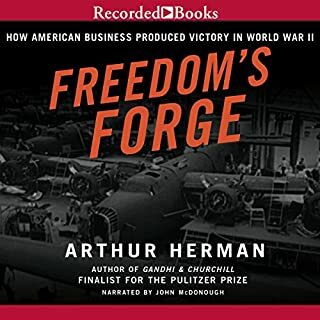 A dramatic, intimate narrative of how Ford Motor Company went from making automobiles to producing the airplanes that would mean the difference between winning and losing World War II. In 1941, as Hitler’s threat loomed ever larger, President Roosevelt realized he needed weaponry to fight the Nazis - most important, airplanes - and he needed them fast. So he turned to Detroit and the auto industry for help. The Arsenal of Democracy tells the incredible story of how Detroit answered the call, centering on Henry Ford and his tortured son Edsel, who, when asked if they could deliver 50,000 airplanes, made an outrageous claim: Ford Motor Company would erect a plant that could yield a "bomber an hour". Critics scoffed: Ford didn’t make planes; they made simple, affordable cars. But bucking his father’s resistance, Edsel charged ahead. Ford would apply assembly-line production to the American military’s largest, fastest, most destructive bomber; they would build a plant vast in size and ambition on a plot of farmland and call it Willow Run; they would bring in tens of thousands of workers from across the country, transforming Detroit, almost overnight, from Motor City to the “great arsenal of democracy.” And eventually they would help the Allies win the war. Drawing on exhaustive research from the Ford Archives, the National Archives, and the FDR Library, A. J. Baime has crafted an enthralling, character-driven narrative of American innovation that has never been fully told, leaving readers with a vivid new portrait of America - and Detroit - during the war. 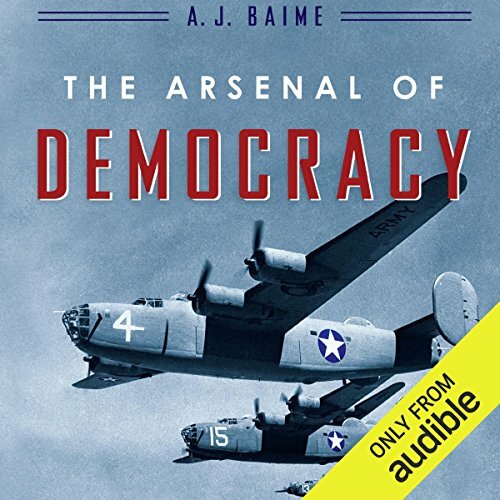 ©2014 Albert Baime (P)2014 Audible Inc.
Where does The Arsenal of Democracy rank among all the audiobooks you’ve listened to so far? This is one of the best books I've listened to - well researched, well put together, and well read. It was such a great story that I'm glad to hear. Edsel Ford. Esdel is the tragic hero - not allowed to participate in WW1 by his father, Henry, he seemed to go above and beyond to make up for that in WW2. Harry Bennett - the obvious "bad buy" in this story, there was always a bit of nastiness in the narrator's voice when he performed Harry. Absolutely. As a car buff, and airplane buff, it was a wonderful book. Layer in the story of WW2 in the process, and it was irresistible. why can't producers check pronunciation? this is an excellent book with very good narration unfortunately marred by incorrect pronunciations. the narrator who is otherwise very good and engaging says Roosevelt with a long oo. it is astonishingly annoying and leads me to wonder why producers can't check their narrator's pronunciation. This book read like a great novel. It has so many twists and turns and covers such a broad geographic and temporal span yet it is still amazingly cohesive. The characters in the story are too amazing to have been made up. I thoroughly enjoyed this book. The Henry and Edsel back story was riveting and framed this amazing American story. The American labor leader Walter Reuther declared in 1940, “America’s battles can be won on the assembly lines of Detroit.” This is one of the main themes of the book and it left me thinking, the U.S. and Canada won WWI and WWII by building more military equipment faster than any other counties. What are we going to do if or when, we have another big war? We no longer are the manufacturing giant we were in the past. We no longer have the manufacturing plants to convert to the war effort, in fact we no longer even manufacture the uniforms and boots our troops wear. After reading this book I cannot help but think we will be at a big disadvantage in the future. I know I must have heard the saying “the arsenal of democracy” but I did not remember that was what FDR called the production of war materials. Baime focuses primarily on the Ford Motor Company and its production of the B-24 Liberator heavy bomber. Ford also manufactured tanks, trucks, jeeps, aircraft engines and parts, gun mounts and armor plates. Ford was not the only plane and manufacture of tanks trucks, autos etc., in fact General Motors’ was by far the larger manufacture. 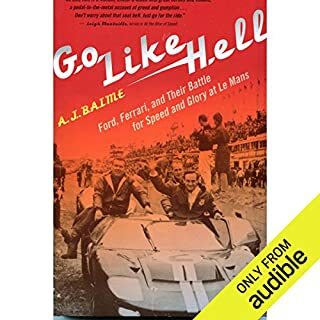 Baime writes primarily about the conflict between Edsel Ford who was the head of the company at the time and his father Henry Ford. 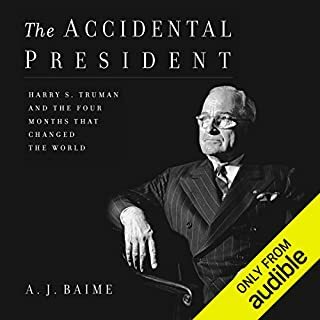 The author also discusses the conflict between FDR and Henry Ford. Baime also reviews the role of William Knudsen, Roosevelt’s mobilization czar. The author also notes that as the majority of white men were mobilized to fight the war, the women and black men and women were recruited to work the assembly lines with great success. Peter Berkrot narrated the book. I enjoyed the book but the title was very misleading. The book should be renamed Ford Motor Company in WWII. There was very little about any other Company switching from civilian production to war production or the changes this brought. This is the story of Edsel and Henry Ford II developing the Willow Run plant to build B-24 bombers and eventually achieving their goal of producing a bomber a day. This is not the story of how American industry converted to build the tanks, planes and bombs that won the war. Nor is the story about the great migration of people from rural areas to large urban areas to work in the war factories and the changes this brought. Henry Ford (genius Nazi sympathizer), Lindbergh (Nazi sympathizer), Hitler (Lunatic Nazi), Churchill (all around genius/hero), Detroit & Auto Giants - Ford, GM, Packard are all characters in this grand story. So we'll researched and so well paced. I didn't want it to end and that's my measure of a great book. The only drawback is the narrator's voice took some getting used to but I did get used to him. I thought it was a well researched, organized and thoughtful work. Most of the time, I thought the narrator did a credible job. But, at times I couldn't figure out why he did what he did. Best example. He consistently referred to FDR as Rooooooooosevelt. Almost to the point of rubbing it in. I know that's how Teddy's branch pronounced it but in 50 years of studying history, I've never heard the Franklin branch referred to as anything other Rose-a-velt. It got in the way. Also, he ascribed accents and speech patterns that certainly don't fit. In one conversation, Edsel Ford breaks into what I guess was supposed to be a southern accent. Why? Other places, many of them in fact, he was channeling James Cagney playing a depression era gangster. Some drama can be good but gratuitous mispronunciation bugs me to no end. He's good but would be so much better if he stopped trying to be someone he's not or gave up trying to force feed us a pronunciation that we've heard differently for our entire lines. Would you listen to The Arsenal of Democracy again? Why? No. It was worth it the first time but the narration would be far too distracting to give it another listen. His pronunciation is just odd and overly-dramatic. The source material for this story is great, but it is hard to discern how great the writing is through the jilted narration. Ultimately this is probably a great book for young adults but true history enthusiasts could have used a bit more depth and prose. The narration is really bad. Intriguing historical perspective of WWII. Discusses Henry Ford and his sons contribute to the War and revolutionising mass manufacturing.